Yes, I was born and raised in Haiti. However, I do consider myself a New Yorker, and I represent my state hard. I've been residing in NYC for 6 years now, and here is home - my home away from home. There is no place like this city, and I couldn't see myself living anywhere else. As Alicia Keys said "these streets will make you feel brand new, the lights will inspire you." They sure have inspired me to tell my story. This #ootd is for my city! Let's hear it for New York. 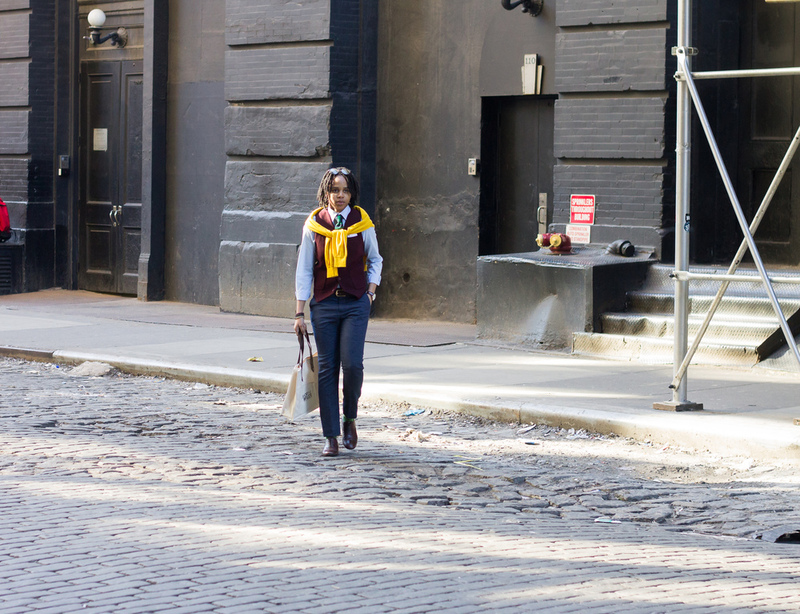 I was inspired by Easter in NY when I styled this look. It's getting warmer, days are getting longer, and colors are getting brighter. These are things that make me really happy, and in this outfit, I felt alive. 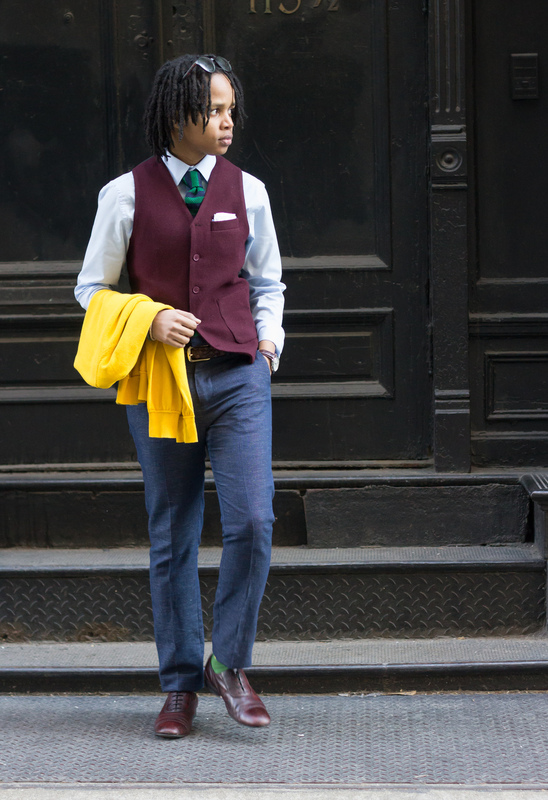 Color blocking al the way! I'm wearing navy pants with a burgundy vest. In oder to make the darker color more prominent, I chose a light blue shirt which is a perfect contrast. 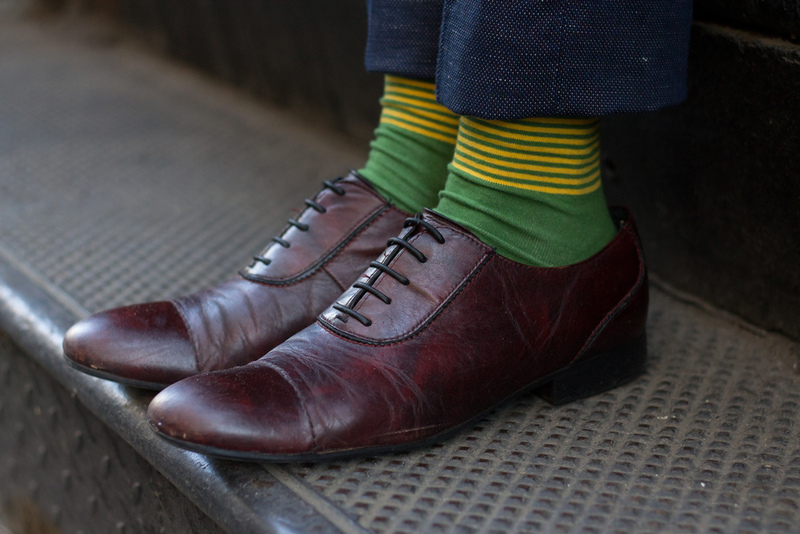 A striped green and navy tie compliments my pants as well as as the exciting socks on my feet. There is no better way to express a festive mood than with an armful of bracelets. 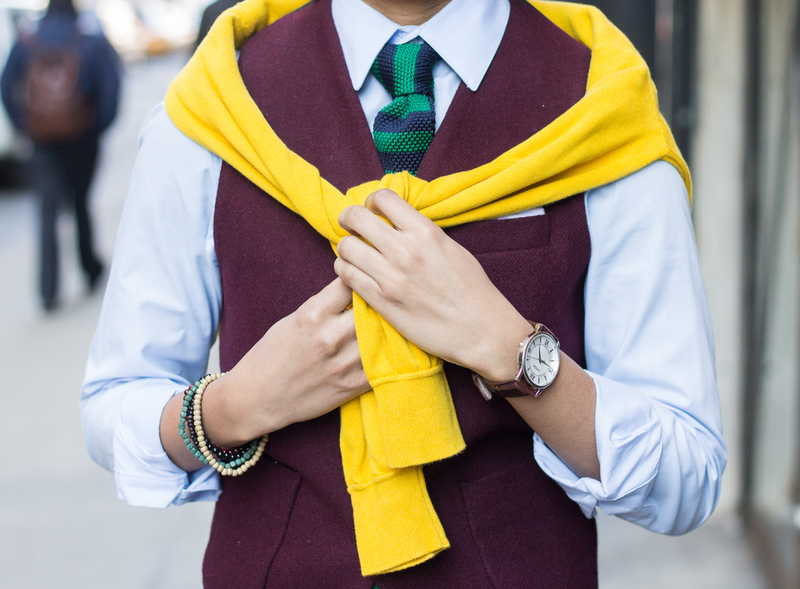 Lastly, be bold and step out in a yellow sweater. What do you guys think, I nailed it or nah? Just before I leave you with my story, here's a treat! I teamed up with Up Attire to bring you a 20% discount on e-v-e-r-y-t-h-i-n-g on their website, so take advantage of the code ADC20 and treat yourself with some awesome socks and more.